This fansite is strictly against any paparazzi or stalkerazzi pictures. We will not support any kind of bashing or privacy intrusion into Phillip's life and/or the one of people around him. We will also not post any gossip or rumors on private life matters. Caps of episode 6×12 – “By Any Means Part 3” have been added to the gallery! Check them out and enjoy! Caps of episode 6×07 – “Conspiracy Theory Part 2” have been added to the gallery! Check them out and enjoy! Caps of episode 6×06 – “Conspiracy Theory Part 1” have been added to the gallery! Check them out and enjoy! 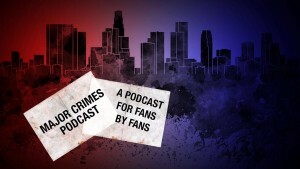 A little late, but here is last week’s Facebook live chat with James Duff and Phillip Keene, in which many interesting questions about Major Crimes and Phillip’s character Buzz were answered. Enjoy! Paulette Cohn of Parade.com did an exclusive interview with Phillip, in which they talked about Major Crimes, his character Buzz Watson, and more. There was that moment when Sanchez returned and everybody was really happy to see him, but you could see Buzz, and he too was happy for Sanchez, but he pushed his badge aside and viewers could see his disappointment. What was he feeling? Of course, he was glad to see that Sanchez was back, but at the same time, he realized that he had to go back to his old life of being a reserve officer and no longer being a reserve detective. I think it triggered some thoughts in his mind. I don’t think he is satisfied being in that position any longer, having had a taste of what it was like to really be out in the field and working hand in hand with his colleagues on a different level. So in that moment, he really decided that something needed to change or his life was just going to be not as fulfilling as he wanted it to be. We have added screencaptures of episode 6×05 “Sanctuary City Part 5” to the gallery. Take a look and enjoy! We have added screencaptures of episode 6×04 “Sanctuary City Part 4” to the gallery. Take a look and enjoy! You can now find additional stills for Sanctuary City in the gallery. Go check them out! © (2016) Get Buzzed – Phillip Keene Fans | Powered by Wordpress | Designed by Never Enough Design | Hosted by Fan St [Copyright/DMCA] | Homepage Get Buzzed is a non-profit fansite dedicated to actor Phillip Keene. We are in no way affiliated with Phillip, his management, his agency and/or friends and family. All photos and media are copyright to their respective owners. No infringement is intended.